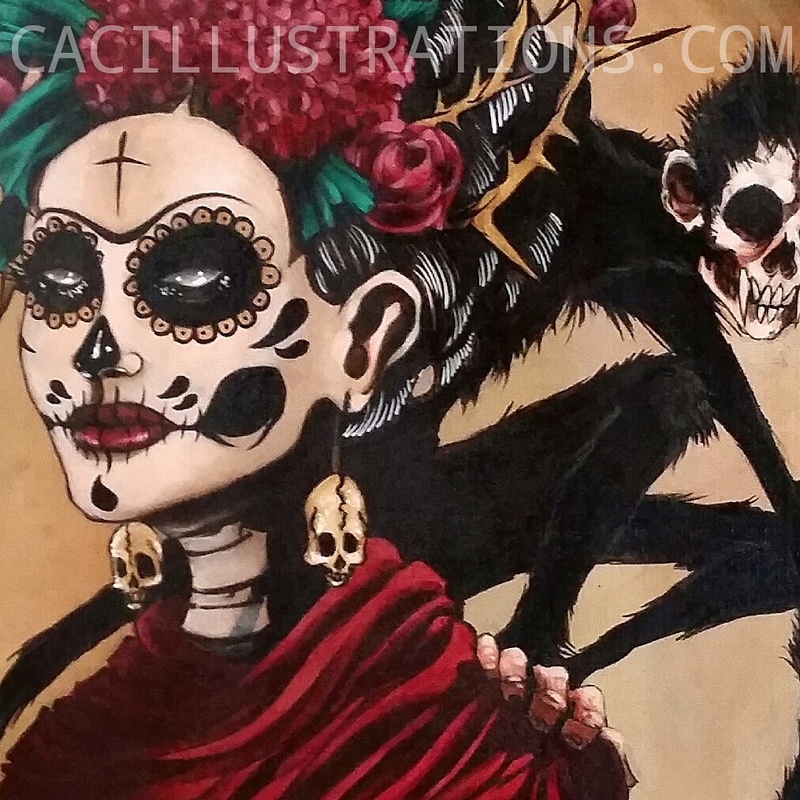 Close-up of “La Reina”- on display for the Calaveras Y Kahlo exhibit at Arte Americas in Downtown Fresno through November. 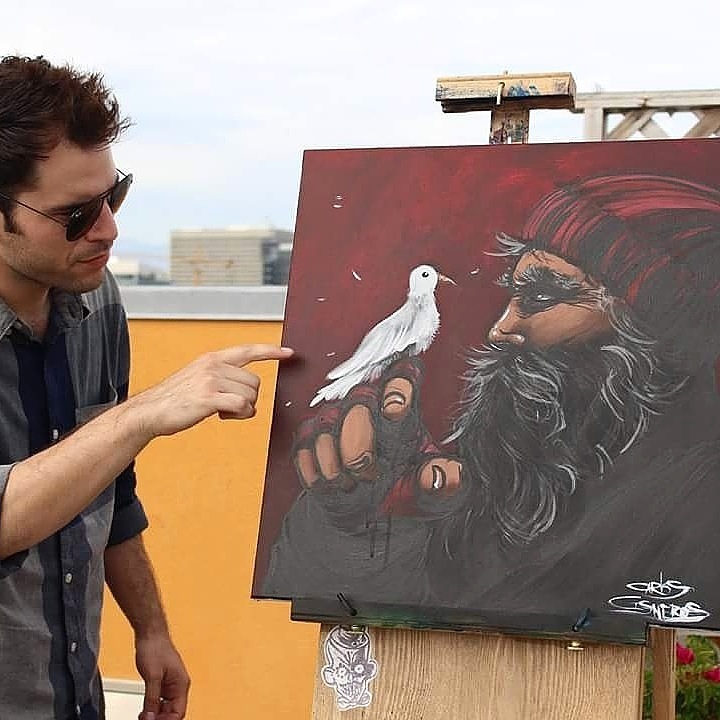 Had the honor of painting on the rooftop of the Union Rescue Mission in Skid Row for a charity live art challenge. Met some genuine friendly, humble people, enjoyed some rain and sunshine within a span of a few hours, and was also able to escape the smoke-filled air of the Central Valley caused by the wildfires within the Sequoia and Kings Canyon national parks. Completely grateful to have been given the opportunity to do what I love while giving back without any hesitation, and forever thankful to the kind couple that took this painting home with them. Thanks for the warm welcome, Los Angeles. 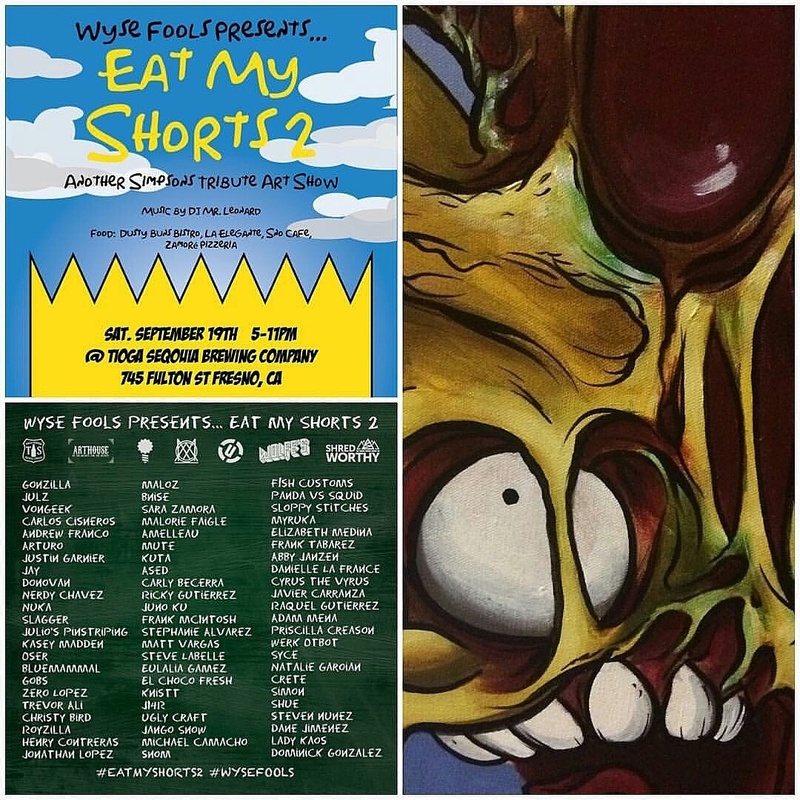 In just a few days, join us for Eat My Shorts 2, the second Simpsons tribute installment at Tioga Sequoia this Saturday in Downtown Fresno. Excited to see the new art and prizes available. Included is a close-up of a painting I completed for the show. Don’t miss out on this stellar event brought to you by the awesome folks at Wyse Fools. See you there.